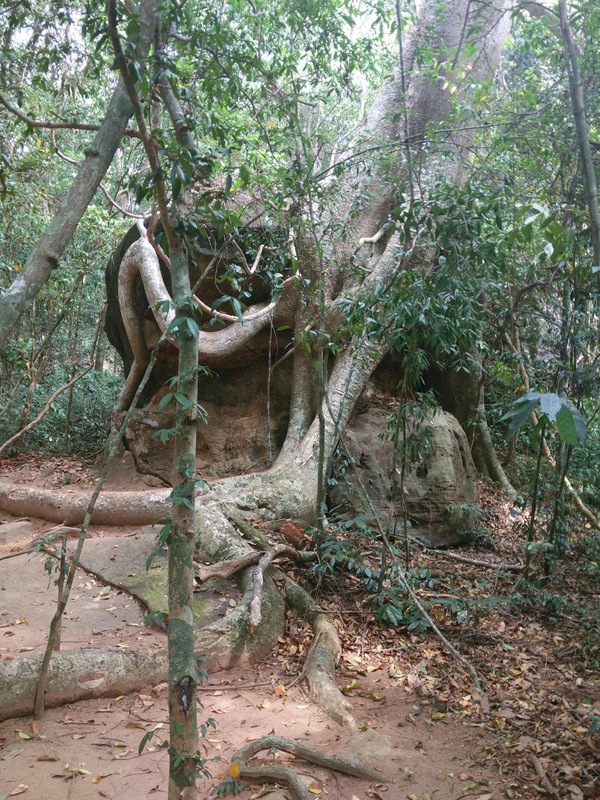 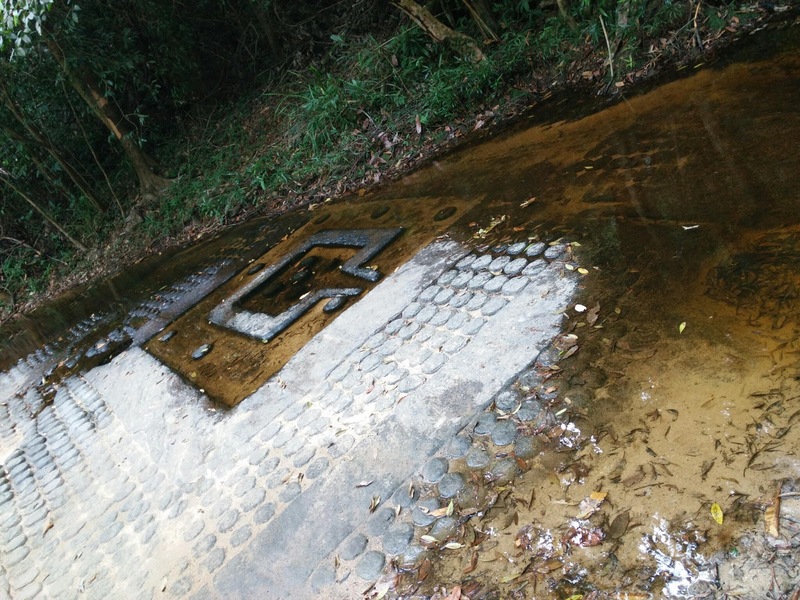 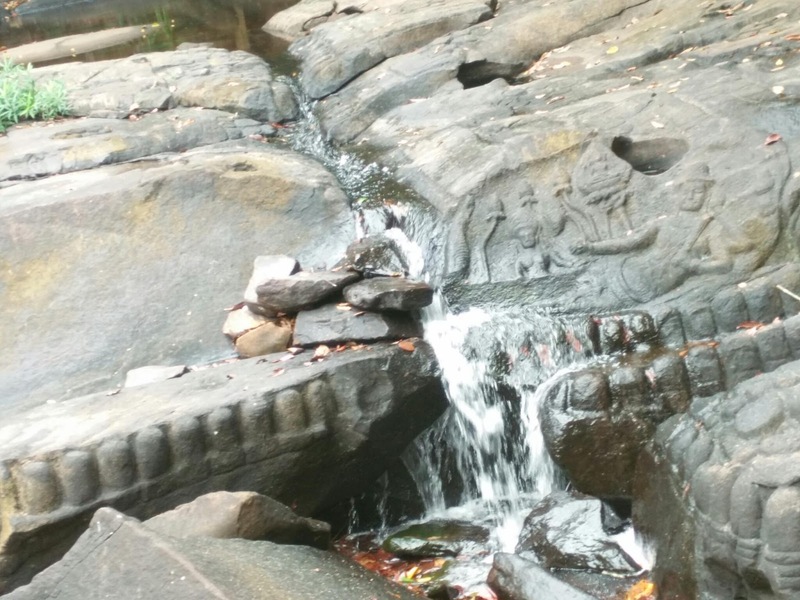 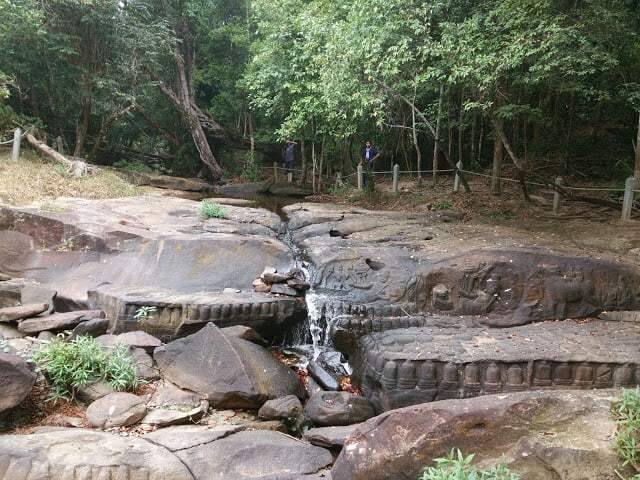 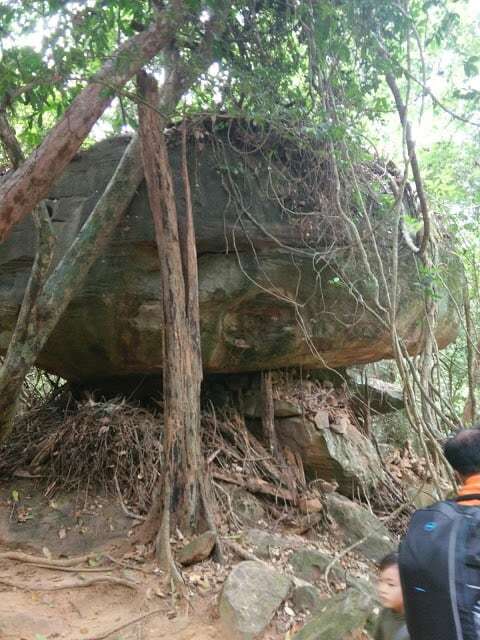 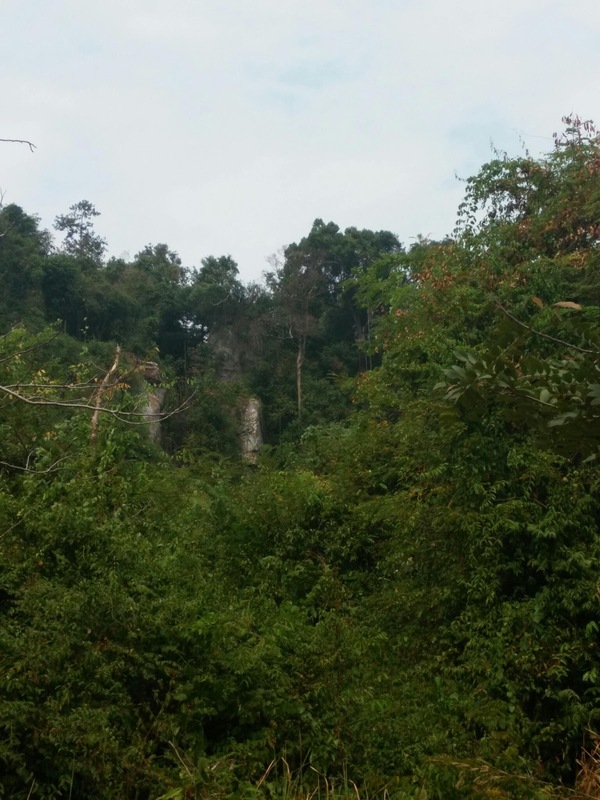 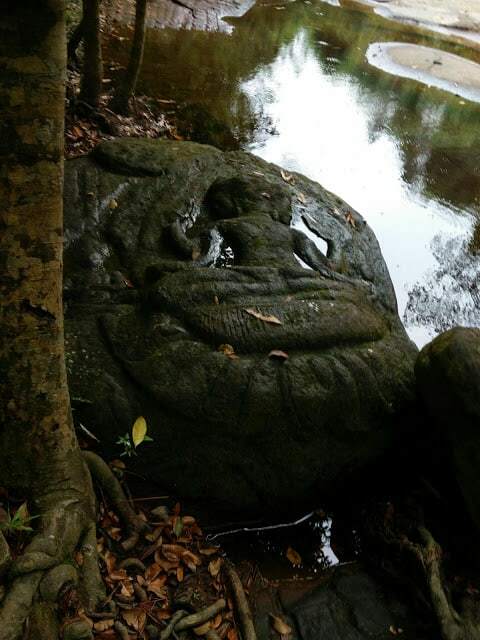 50km ride away from the town of Siem reap, the Phonem Kulen forest zone…hides away one of the most beautiful sights dating back to the 11-12century. 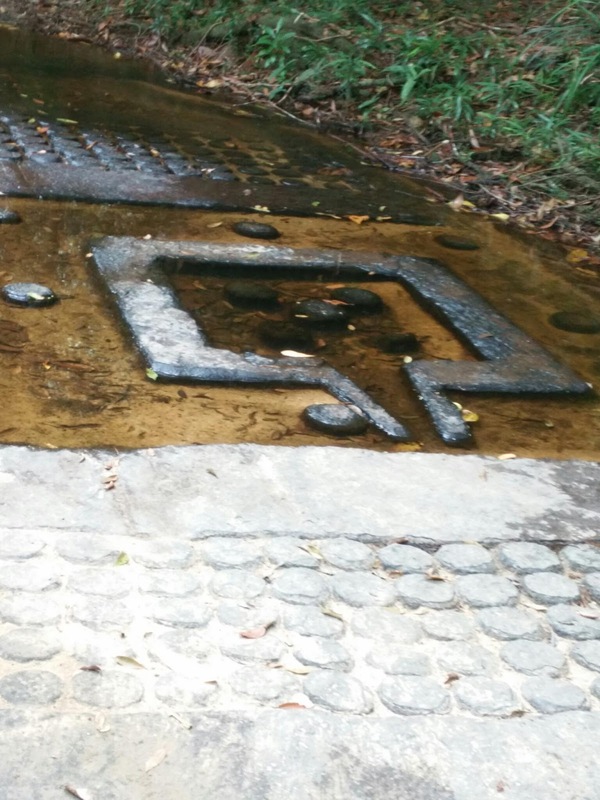 “The river of the thousand lingas,” Kebl Spean. You can include this in your itinerary clubbing it with the architectural marvels of Bantey seri. 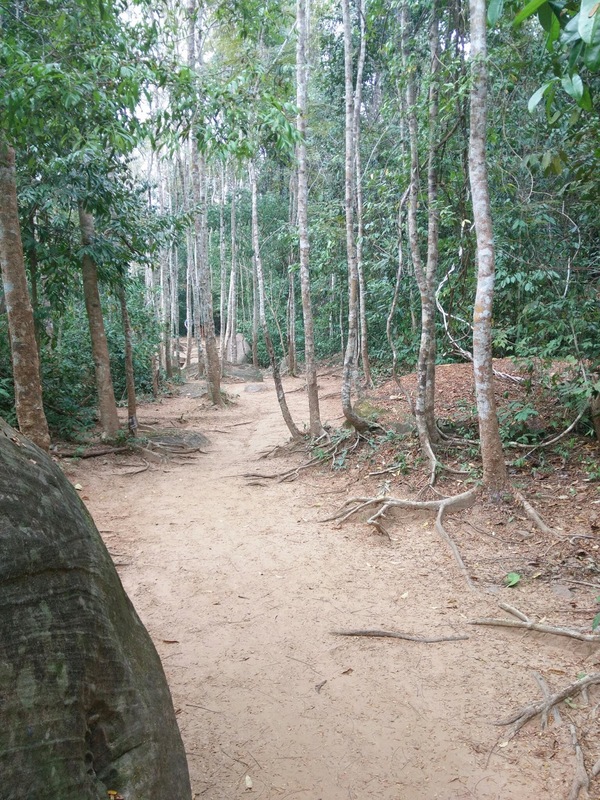 It takes a hour and a a half from Siem reap to reach Kebl Spean by tuk tuk. 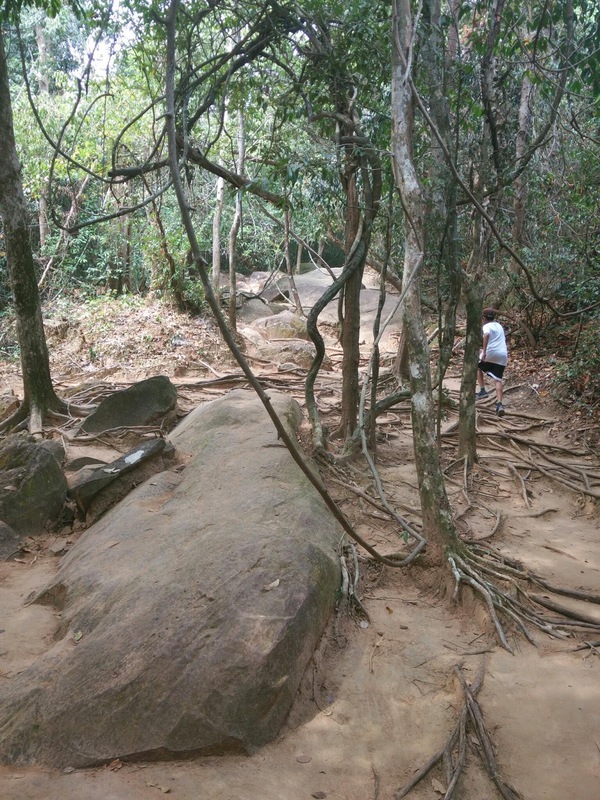 Upon reaching the foot hill there is a 45minute, moderate effort hike up to the site. The trail winds through the forest with interesting boulder formations and sturdy vines twisting around in strange shapes. 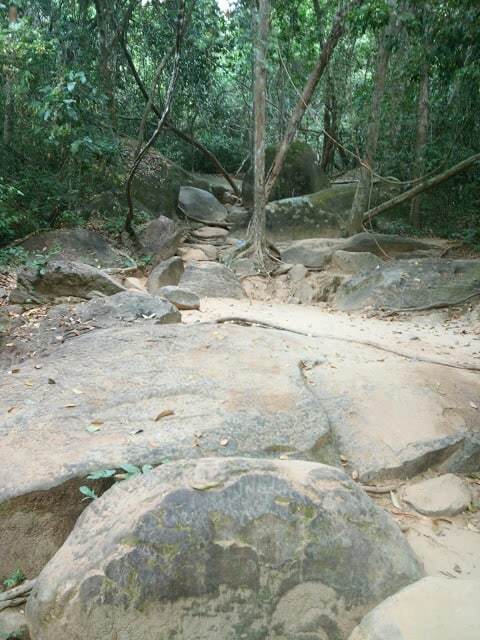 Walking the boulder path one can see the river passes under the rock and emerges as a beautiful waterfall. 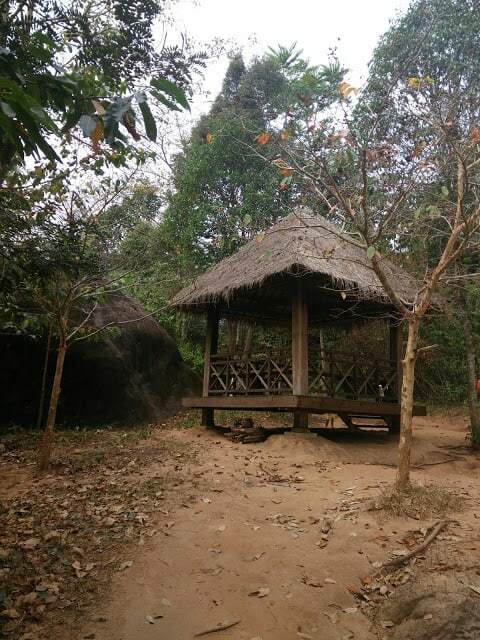 An ideal rest place following a two km uphill hike. 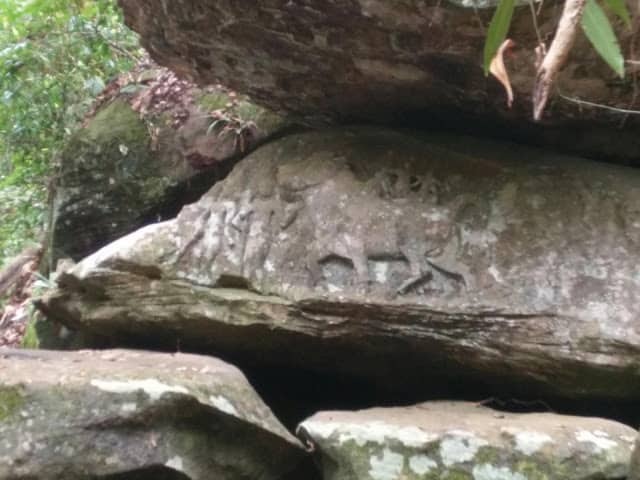 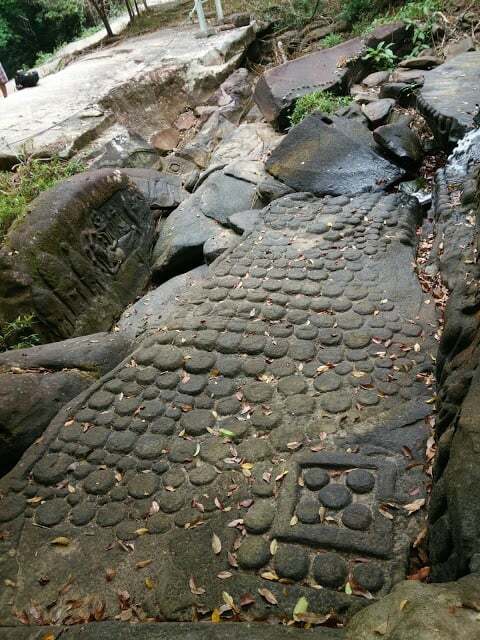 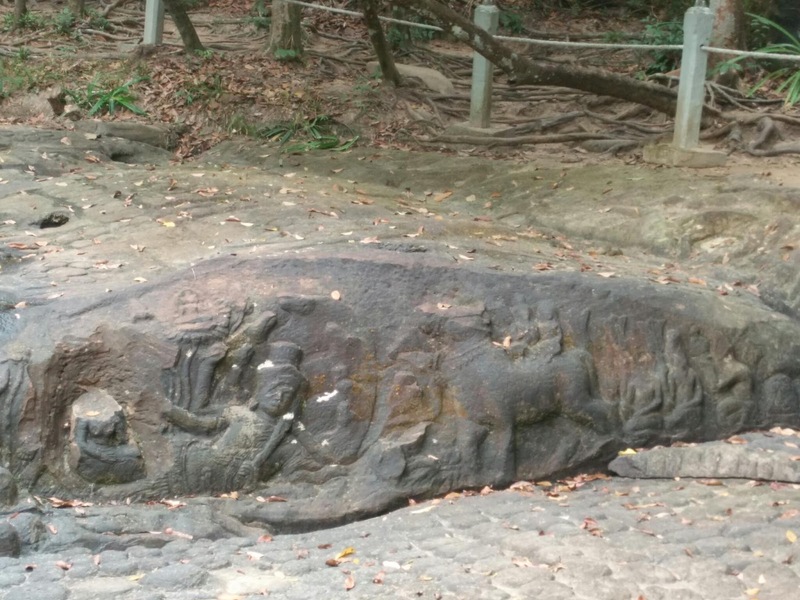 The series of rock carvings follow down the river for some more distance…the knobby carvings create an unusual decor to the river bed. 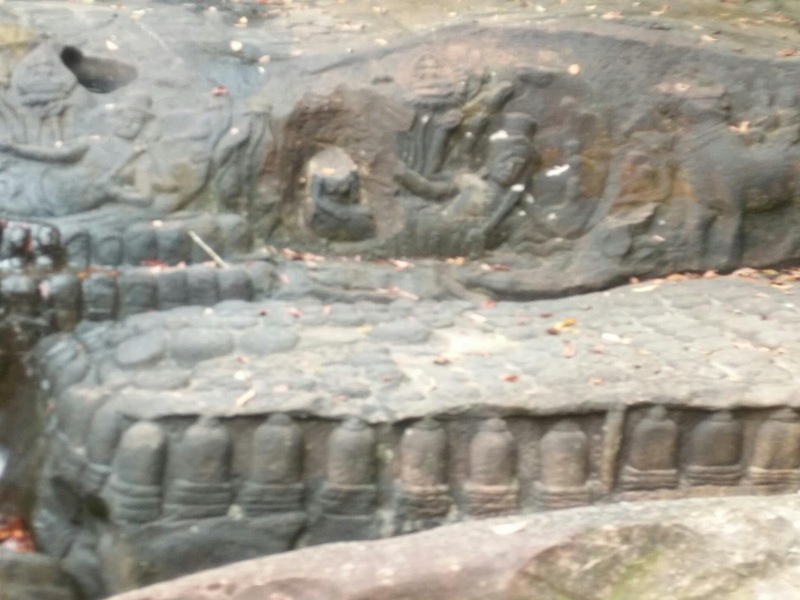 The carvings are an exact replica of the ones in the temples which made us wonder, if this was a training ground for the stone carvers. 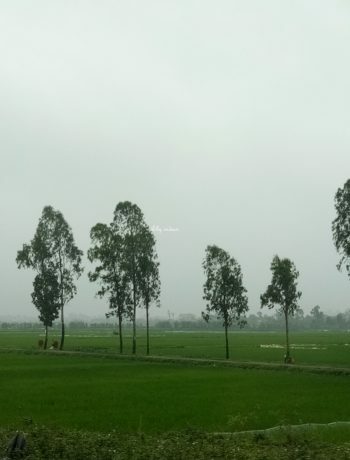 Halong bay of the Paddy fields, tour Tam coc, Vietnam. 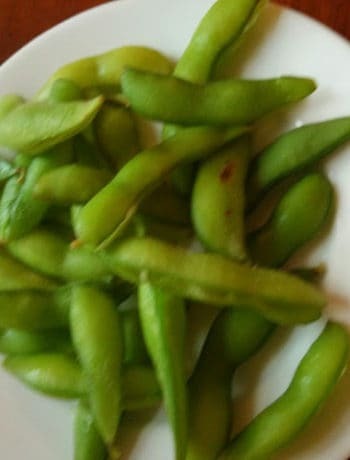 Sushi kitchen, a Japanese vegetarian adventure.